Australia and video games don’t have the most ammicable of relationships. Actually, that’s probably a bit unfair. 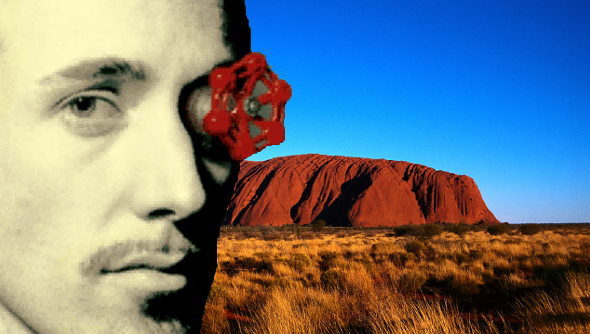 I mean, I doubt Ayers Rock has an issue with games, and I suspect that most people don’t consider them dangerous. But some people of influence do, which is why developers sometimes end up jumping through hoops so they can sell their games over there. Now an Australian consumer watchdog, the Australian Competition and Consumer Commission, has Valve in its sights. The group is suing Valve over its refund policy, which it claims breaks the country’s consumer laws. Documents were filed with the Australian Federal Court, alleging that Valve is not playing by the rules when it refuses refunds, modifies or restricts statutory guarantees and warranties, and takes no responsibility for the products sold on Steam. Valve is an American company and doesn’t have a physical presence in Australia, but because it does business with consumers that are protected by Australian Consumer Law, it has to abide by these laws, the watchdog states. A date for the first hearing has been set, and will take place on October 7th in Sydney. This isn’t the first time that Valve has come under fire from consumer groups. Last year, a German watchdog took the company to court over its policy on not allowing customers to resell games. Valve was victorious, however, and the Regional Court of Berlin ruled that the company would be allowed to continue enforcing this clause. It may not have as much success this time around, however. Its own refund policy states that it doesn’t offer refunds “unless required by local law,” something the consumer group will no doubt be keen to point out in October.